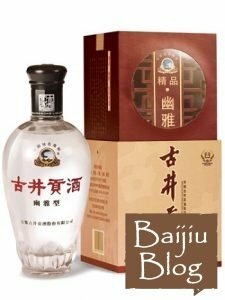 This list is to help determine which Baijiu (Chinese alcohol liquor) is the best tasting out there. The selections below are classed the very best in traditional recognised styles. Older than vodka, whisky, rum, brandy, gin, and tequila, Baijiu can be traced back 7000 years. The earliest archeological evidence was from the Han Dynasty (25-220 AD). 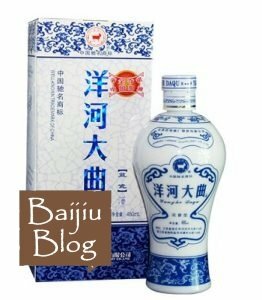 The Chinese traditionally serve baijiu neat at room temperature. Baijiu is served in small cups or glasses. It is traditional to drink baijiu with food rather than on its own. The four major categories of baijiu, accounting for the overwhelming majority of the market, are strong aroma, light aroma, sauce aroma, and rice aroma. 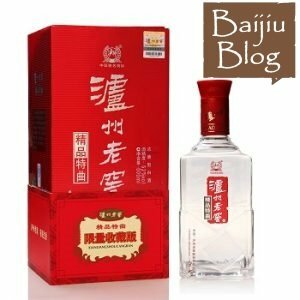 Gujinggong is a traditional strong fragrance Baijiu distilled from water from a well in Bozhou, Anhui Province. Its history dates back to early Ming dynasty (AD 1515). The Gong, in the name Gu Jing Gong, means tribute offered to the emperor. It was a tribute drink for the imperial families of China’s dynasties. It is fragrant and refreshing, with prolonged pleasant aftertaste. It has alcohol content ranging from 38 percent to 50 percent. Xifeng Liquor – Also known as Xifengjiu, is one of the most famous and traditional Chinese liquors. Produced in Fengxiang County, Shanxi province, Xi Feng Jiu is one of the oldest Baijius in China, it was first brewed over 3,000 years ago in Shang Dynasty. Fengxiang, according to Chinese folklore, was the home to phoenix, thus the name Xi Feng Jiu which means Baijiu produced in the west. 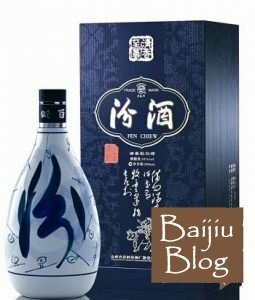 Xifeng Liquor is refreshing and has a sweet, bitter, spicy and fragrant flavor. In recent years, Xifeng has put great emphasis on innovation and product development, making great breakthroughs in production techniques. It has alcohol content range from 33 percent to 65 percent. Shui Jing Fang was China’s first baijiu distillery when it was founded more than 600 years ago and has been named the oldest brewery in the world by Guinness world record. The Shui Jing Fang Brewery traces its roots back to Genghis Khan’s Yuan Dynasty. It is considered a history book of Chinese baijiu history. Shui Jing Fang has a ‘strong aroma‘, indicating it’s concentrated and rich. This has notes of sour plums and a bitter sweetness. Aged for a minimum of five years, but blended with spirits aged up to 40 years and filtered with activated charcoal. It has alcohol content ranging from 38 percent to 53 percent. Fenjui – Is a light scented liquor, the taste is sweet and soft, and it is distilled until it is clear. Produced in Xinghua Village, Fenyang, Shanxi province. The brewing process is characterized by double fermentation and double distillation in order to increase the yield of ethanol. The Fenjiu name was already known during the Southern and Northern dynasties (420-581 AD). Xinghua has long history of baijiu production; the place is featured in the poem “Qing Ming” from famous poet Du Mu (AD803-AD852) of Tang Dynasty, which is mandatory reading for primary school children. Fenjiu won a gold medal at the Panama Pacific International Exposition. Fenjui has an alcohol content of 38 percent to 65 percent. First brewed in Tang Dynasty over 2,000 years ago, Jian Nan Chun is still being produced in Mianzhu County, Sichuan Province. It has strong, rich fragrance, pure and sweet flavor, refreshing and lingering taste, and a unique ‘Daqu-flavor fragrance’. 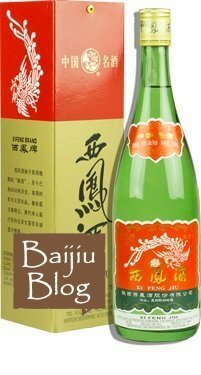 It was said that this Baijiu was loved by the “Immortal Poet” Li Bai (AD 701-AD 762) . According to the legend, Li Bai pawned his minx vest to pay for one more drink. It has alcohol content of 38 percent to 52 percent. 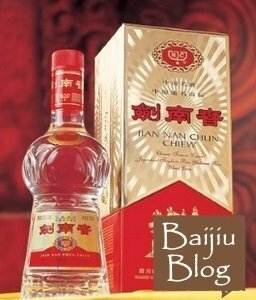 Lang Jiu has a relatively shorter history compared to other famous baijiu brands. It was first produced in Luzhou Sichuan province a little over 100 years ago. Named after Erlang, the origin town. Its history can be traced back to the Han Dynasty and the time of Emperor Wu. Langjiu is made from cool, fresh spring water from the Dragon Cave and aged clay pots. 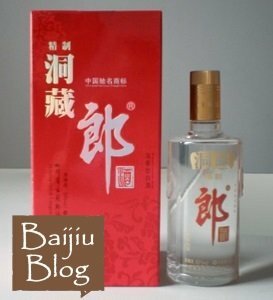 It is only baijiu company that can produce three different fragrances: “Sauce fragrance“, “Thick fragrance“, and “Layered fragrance“. Lang Jiu generally has alcohol content above 50 percent. Yang He Da Qu originated from Suqian, Jiangsu province. It was first made in the Sui and Tang dynasties. It has three specifications, namely, 64 degrees, 61 degrees and 55 degrees. Yanghe Daqu liquor is a kind of pure and transparent liquid, with fragrant and strong scent, soft and smooth taste, sweet and refreshing flavor. It was decreed as tribute to Qing royals by Qianlong emperor. After the founding of the country, citizens across the nation were able to enjoy the famous liquor. It has alcohol content ranging from 38 percent to 52 percent. Baijiu industry in Luzhou, Sichuan province, has a history that can be traced back to the Ming Dyansty, the industry flourished in Ming and Qing dynasties. Lu Zhou Lao Jiao is the signature baijiu produced in Luzhou. It is a strong (more than 50% alcohol) but clear liquid with a sharp aroma of fermented peaches. It is famous for being brewed in clay composition that gives the spirit its famous aroma and palette. It is the first “Thick fragrance” baijiu ever brewed in China. Lu Zhou Lao Jiao has alcohol content ranging from 42 percent to 52 percent. 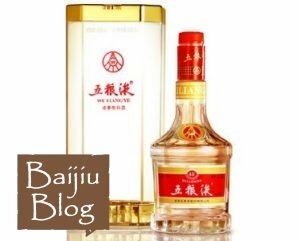 Wuliangye is a strong, aged distilled liquor produced in Yibin, Sichuan Province. It was first produced in the Nan Bei Dynasty (AD420-AD589) and the formula was created in the Ming dynasty.. The name of Wu Liang Ye come from its five raw materials including wheat, rice, corn, sorghum, and glutinous rice. The water which is used to brew Wuliangye is from the middle of Min River. Wuliangye features lasting flavors, mellow savor, luscious and refreshing tastes. Wu Liang Ye Has alcohol content from 35% to 68%. Moutai or Maotai is a “Sauce fragrance” Baijiu produced in the town of Maotai near the city of Renhuai in southwestern China’s Guizhou province. Maotai is distilled from fermented sorghum and now comes in different varieties, it is believed that the town of Maotai possesses a unique climate and vegetation that contributes to the taste of the drink. 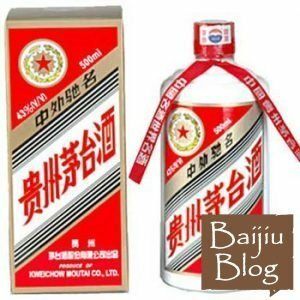 Maotai is the most popular Baijiu in China. It is, in fact called China’s official “National Liquor”. It was served to Richard Nixon during the state banquet for the US presidential visit to China in 1972. Ranging in alcohol content from the standard 53% to 35%.